The super high definition 1080P Dash Camera with built in DVR and 2.31 inch LCD screen is super easy to operate one touch recording with crisp clear recording quality. It doesn�t help when you have a camera that records with a grainy and blurry image. The HD Dash Camera has a high performance HD chip so the video and picture quality are very clear. The camera has 170� viewing angle and can be operated by the internal battery which will last about 2 days on parking mode. Parking mode is a feature that looks after your car while you are away. When you are away from your car and your car is hit or moved the camera will start to automatically record for 30 seconds. It takes about 3 hours to fully charge. You can plug the unit into the cigarette lighter to charge the battery and use while the car is running. When the camera is plugged into the cigarette lighter in the car and the engine starts the camera will automatically turn on and start recording. It has a built in microphone and records audio. The camera comes with a suction cup mount for the windshield. 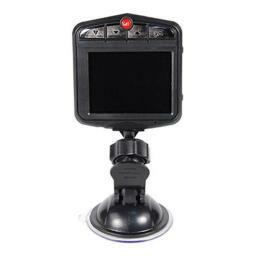 The HD dash camera DVR has the ability to record over old footage or stop recording when SD card is full. The DVR comes with a 32GB micro SD card which will record over 6 hours video footage in H.264 format. It comes with a USB cable so you can easily download the footage to your computer for viewing and storing video footage. It also has a mini HDMI out port for viewing on an HDMI TV. The 2.31 inch LCD screen allows you to make menu adjustments, playback, and see what the camera is seeing. 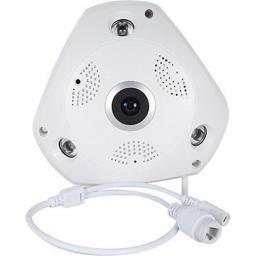 The IntelliSpy 1280P HD Fish Eye 3.0 MP IP Camera with Wi-Fi and DVR is easy to install and operate. It is a standalone unit. Install the camera in the area you want to monitor, plug it in to power and enjoy a 360 degree view of the area in high definition with the fisheye 3 megapixel camera. This system is just about perfect for anyone. You can use this in your home to keep an eye on your pets, children, and property. It is also perfect for warehouses, convenience stores, clubs, and offices. It has 3 IR leds for a range of 30 feet when using night vision. The 1280p camera has a crisp clear panoramic view and has motion detection recording capability. Motion detection recording helps to save storage space since it will only record when there is motion. It makes it easier to find an event rather than skimming through hours of uneventful video footage. It has a wireless range of 180 feet, through walls this will be less. The camera has a built in DVR and comes with a 64GB Micro SD card installed and can record 128 hours(about 5.3 days) of video footage. That is right this is a self contained unit only 1 piece of equipment to set up. When using the motion detection function the record time will increase. It has a built in microphone and speaker, to record audio. You can listen via the remote app and also speak into your phone for someone to hear you through he camera. This system Connects easily to your internet so you can view the system from anywhere in the world. Can be set up in less than 3 minutes to your wireless network. When viewing remotely through the app you can view a full 360 degree view of the area under surveillance. The remote app supports electronic PTZ so you can get a better look at the viewing area. It also supports 4 kinds of 3D viewing, Audio, and works with Android and IOS with the VR Cam app from the app store. This camera is simply amazing and easy to set up and operate. 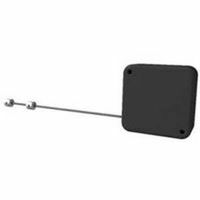 Mounts on ceiling or wall with 3 screws(screws not included). Not meant for outdoors. No additional cameras can be added to this system. Features: 1.1 mm fish lens, Visual angle 180�, IR Night Vision distance: 30 feet 3pcs Array Leds, 3.0mp lens, H .264 Video Compression, Max SD card support 128GB, Audio and Speaker, supports Wi-Fi. Includes: 3.0MP Camera and DVR, Power Supply, Manual, and 64GB SD Card Installed. The IntelliSpy AHD-DVR-162TB offers the best viewing and recording clarity at an affordable price. These HD cameras and DVRs give you very clear images even when an object is moving. Analog systems and other HD systems have a blurry image when a moving object is in the field of view. The new HD technology allows for a crisp clear picture of the movement. This is perfect for viewing license plates and you can even see someone wave at you, all without the trailing image effect. All 16 channels display and record in crisp and clear high definition 1080p (1920x1080). This is a 16 channel standalone DVR with an embedded Linux operating system but is programmed and is designed to operate like a PC based DVR. The HD DVR is programmed and controlled with an easy to use GUI (graphical user interface). This system comes with a remote and mouse for easy operation. It uses H.264 compression which is a high quality compression and uses less storage space to maximize your hard drive usage. You can record up to 3.14 days of constant recording with a 2TB hard drive. The DVR can be accessed remotely to see live video using a smart phone, tablet, and iPad. Remote set-up is fairly easy with limited network knowledge. Just forward a couple of ports in your router and then take a picture of the QR code on the DVR to connect your device to the DVR. You can also view live video using most web browsers. The 16 channel HD IntelliSpy DVR like many other DVR�s has motion detection recording so you don�t eat up a ton of storage space and makes it easier to find an event rather than skimming through hours of video footage. This model has a 2TB hard drive installed. The DVR comes with a 2 year warranty. The IntelliSpy AHD-DVR-164TB offers the best viewing and recording clarity at an affordable price. These HD cameras and DVRs give you very clear images even when an object is moving. Analog systems and other HD systems have a blurry image when a moving object is in the field of view. The new HD technology allows for a crisp clear picture of the movement. This is perfect for viewing license plates and you can even see someone wave at you, all without the trailing image effect. All 16 channels display and record in crisp and clear high definition 1080p (1920x1080). This is a 16 channel standalone DVR with an embedded Linux operating system but is programmed and is designed to operate like a PC based DVR. The HD DVR is programmed and controlled with an easy to use GUI (graphical user interface). This system comes with a remote and mouse for easy operation. It uses H.264 compression which is a high quality compression and uses less storage space to maximize your hard drive usage. You can record up to 6.28 days of constant recording with a 4TB hard drive. The DVR can be accessed remotely to see live video using a smart phone, tablet, and iPad. Remote set-up is fairly easy with limited network knowledge. Just forward a couple of ports in your router and then take a picture of the QR code on the DVR to connect your device to the DVR. You can also view live video using most web browsers. The 16 channel HD IntelliSpy DVR like many other DVR�s has motion detection recording so you don�t eat up a ton of storage space and makes it easier to find an event rather than skimming through hours of video footage. This model has a 4TB hard drive installed. The DVR comes with a 2 year warranty. The IntelliSpy AHD-DVR-16NHD offers the best viewing and recording clarity at an affordable price. These HD cameras and DVRs give you very clear images even when an object is moving. Analog systems and other HD systems have a blurry image when a moving object is in the field of view. The new HD technology allows for a crisp clear picture of the movement. This is perfect for viewing license plates and you can even see someone wave at you, all without the trailing image effect. All 16 channels display and record in crisp and clear high definition 1080p (1920x1080). This is a 16 channel standalone DVR with an embedded Linux operating system but is programmed and is designed to operate like a PC based DVR. The HD DVR is programmed and controlled with an easy to use GUI (graphical user interface). This system comes with a remote and mouse for easy operation. It uses H.264 compression which is a high quality compression and uses less storage space to maximize your hard drive usage. You can record up to 6.28 days of constant recording with a 4TB hard drive. The DVR can be accessed remotely to see live video using a smart phone, tablet, and iPad. Remote set-up is fairly easy with limited network knowledge. Just forward a couple of ports in your router and then take a picture of the QR code on the DVR to connect your device to the DVR. You can also view live video using most web browsers. The 16 channel HD IntelliSpy DVR like many other DVR�s has motion detection recording so you don�t eat up a ton of storage space and makes it easier to find an event rather than skimming through hours of video footage. This model has no hard drive installed. The DVR comes with a 2 year warranty. The IntelliSpy AHD-DVR-4N1TB offers the best viewing and recording clarity at an affordable price. These HD cameras and DVRs give you very clear images even when an object is moving. Analog systems and other HD systems have a blurry image when a moving object is in the field of view. The new HD technology allows for a crisp clear picture of the movement. This is perfect for viewing license plates and you can even see someone wave at you, all without the trailing image effect. All 4 channels display and record in crisp and clear high definition 1080p (1920x1080). This is a 4 channel standalone DVR with an embedded Linux operating system but is programmed and is designed to operate like a PC based DVR. The HD DVR is programmed and controlled with an easy to use GUI (graphical user interface). This system comes with a remote and mouse for easy operation. It uses H.264 compression which is a high quality compression and uses less storage space to maximize your hard drive usage. You can record up to 6.25 days of constant recording with a 1TB hard drive. The DVR can be accessed remotely to see live video using a smart phone, tablet, and iPad. Remote set-up is fairly easy with limited network knowledge. Just forward a couple of ports in your router and then take a picture of the QR code on the DVR to connect your device to the DVR. You can also view live video using most web browsers. The 4 channel HD IntelliSpy DVR like many other DVR�s has motion detection recording so you don�t eat up a ton of storage space and makes it easier to find an event rather than skimming through hours of video footage. This model has a 1TB hard drive installed. The DVR comes with a 2 year warranty. The IntelliSpy AHD-DVR-4N2TB offers the best viewing and recording clarity at an affordable price. These HD cameras and DVRs give you very clear images even when an object is moving. Analog systems and other HD systems have a blurry image when a moving object is in the field of view. The new HD technology allows for a crisp clear picture of the movement. This is perfect for viewing license plates and you can even see someone wave at you, all without the trailing image effect. All 4 channels display and record in crisp and clear high definition 1080p (1920x1080). This is a 4 channel standalone DVR with an embedded Linux operating system but is programmed and is designed to operate like a PC based DVR. The HD DVR is programmed and controlled with an easy to use GUI (graphical user interface). This system comes with a remote and mouse for easy operation. It uses H.264 compression which is a high quality compression and uses less storage space to maximize your hard drive usage. You can record up to 12.5 days of constant recording with a 2TB hard drive. The DVR can be accessed remotely to see live video using a smart phone, tablet, and iPad. Remote set-up is fairly easy with limited network knowledge. Just forward a couple of ports in your router and then take a picture of the QR code on the DVR to connect your device to the DVR. You can also view live video using most web browsers. The 4 channel HD IntelliSpy DVR like many other DVR�s has motion detection recording so you don�t eat up a ton of storage space and makes it easier to find an event rather than skimming through hours of video footage. This model has a 2TB hard drive installed. The DVR comes with a 2 year warranty. The IntelliSpy AHD-DVR-4NHD offers the best viewing and recording clarity at an affordable price. These HD cameras and DVRs give you very clear images even when an object is moving. Analog systems and other HD systems have a blurry image when a moving object is in the field of view. The new HD technology allows for a crisp clear picture of the movement. This is perfect for viewing license plates and you can even see someone wave at you, all without the trailing image effect. All 4 channels display and record in crisp and clear high definition 1080p (1920x1080). This is a 4 channel standalone DVR with an embedded Linux operating system but is programmed and is designed to operate like a PC based DVR. The HD DVR is programmed and controlled with an easy to use GUI (graphical user interface). This system comes with a remote and mouse for easy operation. It uses H.264 compression which is a high quality compression and uses less storage space to maximize your hard drive usage. You can record up to 12.5 days of constant recording with a 2TB hard drive. The DVR can be accessed remotely to see live video using a smart phone, tablet, and iPad. Remote set-up is fairly easy with limited network knowledge. Just forward a couple of ports in your router and then take a picture of the QR code on the DVR to connect your device to the DVR. You can also view live video using most web browsers. The 4 channel HD IntelliSpy DVR like many other DVR�s has motion detection recording so you don�t eat up a ton of storage space and makes it easier to find an event rather than skimming through hours of video footage. This model has no hard drive installed. The DVR comes with a 2 year warranty. The IntelliSpy AHD-DVR-82TB offers the best viewing and recording clarity at an affordable price. These HD cameras and DVRs give you very clear images even when an object is moving. Analog systems and other HD systems have a blurry image when a moving object is in the field of view. The new HD technology allows for a crisp clear picture of the movement. This is perfect for viewing license plates and you can even see someone wave at you, all without the trailing image effect. All 8 channels display and record in crisp and clear high definition 1080p (1920x1080). This is a 8 channel standalone DVR with an embedded Linux operating system but is programmed and is designed to operate like a PC based DVR. The HD DVR is programmed and controlled with an easy to use GUI (graphical user interface). This system comes with a remote and mouse for easy operation. It uses H.264 compression which is a high quality compression and uses less storage space to maximize your hard drive usage. You can record up to 6.26 days of constant recording with a 2TB hard drive. The DVR can be accessed remotely to see live video using a smart phone, tablet, and iPad. Remote set-up is fairly easy with limited network knowledge. Just forward a couple of ports in your router and then take a picture of the QR code on the DVR to connect your device to the DVR. You can also view live video using most web browsers. The 8 channel HD IntelliSpy DVR like many other DVR�s has motion detection recording so you don�t eat up a ton of storage space and makes it easier to find an event rather than skimming through hours of video footage. This model has a 2TB hard drive installed. The DVR comes with a 2 year warranty. The IntelliSpy AHD-DVR-84TB offers the best viewing and recording clarity at an affordable price. These HD cameras and DVRs give you very clear images even when an object is moving. Analog systems and other HD systems have a blurry image when a moving object is in the field of view. The new HD technology allows for a crisp clear picture of the movement. This is perfect for viewing license plates and you can even see someone wave at you, all without the trailing image effect. All 8 channels display and record in crisp and clear high definition 1080p (1920x1080). This is a 8 channel standalone DVR with an embedded Linux operating system but is programmed and is designed to operate like a PC based DVR. The HD DVR is programmed and controlled with an easy to use GUI (graphical user interface). This system comes with a remote and mouse for easy operation. It uses H.264 compression which is a high quality compression and uses less storage space to maximize your hard drive usage. You can record up to 12.52 days of constant recording with a 4TB hard drive. The DVR can be accessed remotely to see live video using a smart phone, tablet, and iPad. Remote set-up is fairly easy with limited network knowledge. Just forward a couple of ports in your router and then take a picture of the QR code on the DVR to connect your device to the DVR. You can also view live video using most web browsers. The 8 channel HD IntelliSpy DVR like many other DVR�s has motion detection recording so you don�t eat up a ton of storage space and makes it easier to find an event rather than skimming through hours of video footage. This model has a 4TB hard drive installed. The DVR comes with a 2 year warranty. The IntelliSpy AHD-DVR-8NHD offers the best viewing and recording clarity at an affordable price. These HD cameras and DVRs give you very clear images even when an object is moving. Analog systems and other HD systems have a blurry image when a moving object is in the field of view. The new HD technology allows for a crisp clear picture of the movement. This is perfect for viewing license plates and you can even see someone wave at you, all without the trailing image effect. All 8 channels display and record in crisp and clear high definition 1080p (1920x1080). This is a 8 channel standalone DVR with an embedded Linux operating system but is programmed and is designed to operate like a PC based DVR. The HD DVR is programmed and controlled with an easy to use GUI (graphical user interface). This system comes with a remote and mouse for easy operation. It uses H.264 compression which is a high quality compression and uses less storage space to maximize your hard drive usage. You can record up to 6.26 days of constant recording with a 2TB hard drive. The DVR can be accessed remotely to see live video using a smart phone, tablet, and iPad. Remote set-up is fairly easy with limited network knowledge. Just forward a couple of ports in your router and then take a picture of the QR code on the DVR to connect your device to the DVR. You can also view live video using most web browsers. The 8 channel HD IntelliSpy DVR like many other DVR�s has motion detection recording so you don�t eat up a ton of storage space and makes it easier to find an event rather than skimming through hours of video footage. This model has no hard drive installed. The DVR comes with a 2 year warranty. AIR FRESHENER HD HIDDEN CAMERA - No one will ever be able to tell this air freshener conceals a HD hidden color camera and mini DVR to record what the camera sees. It records in crisp clear 1960 x 1080p HD resolution at 30fps. It has a battery that operates the camera and DVR for 5 hours. You�ll be able to see everything happening in the room. This hidden camera features motion-activated recording that starts as soon as motion is detected. With motion-activation, you won�t have to fast forward through hours of uneventful recording. You can view your recordings by using the included RCA cable to connect to your TV or computer. 64GB memory allows you to record up to 9 hours of video footage. Does NOT function as an air freshener. No one will ever be able to tell this alarm clock conceals a HD hidden color camera and mini DVR to record what the camera sees. The alarm clock's power cord powers the alarm clock, built-in DVR, and camera. It records in crisp clear 1960 x 1080p HD resolution at 30fps. This hidden camera features motion-activated recording that starts as soon as motion is detected. With motion-activation, you won't have to fast forward through hours of uneventful recording. You can view your recordings by using the included RCA cable to connect to your TV or computer. 64GB memory allows you to record up to 9 hours of continuous recording. The IntelliSpy Alarm Clock Hidden HD Camera is hand crafted right here in the USA. It is built to work with the AHD DVR's. This camera is concealed in an everyday item so that no one will no they are being watched by a 1080p hand built HD hidden camera. Not only is the beauty of it that it's concealed but the high definition 1080p super clear camera and allows you to finally see what is really going on when you aren't around. It is a wired camera. A cable is run from the camera to the DVR for it to operate. You can use the power & HD video all in one camera cables we sell to connect the camera to the DVR. The camera comes with a 12 volt power supply. If you need a hidden camera to keep an eye on your house, office, or property this is the camera for you. This microphone is used to pick-up sound in a room. Use with our wired cameras and wired surveillance systems. * Not intended for covert audio recording. Check local laws before installation. The IntelliSpy BC-AHD150-DN is a full HD weather proof bullet camera with 150 feet of night vision with the equivalent to a 2.0 megapixel camera. The HD technology gives you crystal clear picture. For example, most cameras are blurry and grainy, with an 700TVL camera system it is hard to recognize facial features as the moving object will be blurry and have a trailing image effect. With the IntelliSpy you get no trailing when an object is moving fast in the field of view. This help you see license plate numbers and allow you to actually see the face of an intruder all while using coax/RG59 cable. Spools of cable can be found in the camera accessories section. These cameras adjust to the environment and give you a clear IR image. They also automatically adjust to the ambient lighting in the environment and give you a clear HD image. The IntelliSpy DC-AHD150-DN camera is great for indoor or outdoor applications. It comes with a 2.8-12mm varifocal lens and has a heavy duty mounting bracket with a hidden cable design so it mounts easily to ceilings or walls. This camera will ONLY work with HD DVR�s. Camera has a 2 year warranty. The IntelliSpy Black Finish Mirror Hidden HD Camera is hand crafted right here in the USA. It is built to work with the AHD DVR's. This camera is concealed in an everyday item so that no one will no they are being watched by a 1080p hand built HD hidden camera. Not only is the beauty of it that it's concealed but the high definition 1080p super clear camera and allows you to finally see what is really going on when you aren't around. It is a wired camera. Just hang it on the wall and run the cable from the camera to the DVR for it to operate. You can use the power & HD video all in one camera cables we sell to connect the camera to the DVR. The camera comes with a 12 volt power supply. If you need a hidden camera to keep an eye on your house, office, or property this is the camera for you. MIRROR HD HIDDEN CAMERA DVR - No one will ever be able to detect this color HD hidden camera disguised as an ordinary looking mirror. This mirror camera records in crisp clear 1960 x 1080p HD resolution at 30fps. It has a battery that operates the camera and DVR for 5 hours. This hidden camera comes in a natural wood finish frame or a black frame (measures 15" x 11 3/4" x 2 1/2"), it features motion-activated recording that starts as soon as motion is detected. With motion-activation, you won�t have to fast forward through hours of uneventful footage. You can view your recordings by using the included RCA cable to connect to your TV or computer. 64GB memory allows you to record up to 9 hours of video footage. The IntelliSpy DC-AHD60-DN is a full HD weather proof dome camera with 60 feet of night vision with the equivalent to a 2.0 megapixel camera. The HD technology gives you crystal clear picture. For example, most cameras are blurry and grainy, with an 700TVL camera system it is hard to recognize facial features as the moving object will be blurry and have a trailing image effect. With the IntelliSpy you get no trailing when an object is moving fast in the field of view. This help you see license plate numbers and allow you to actually see the face of an intruder all while using coax/RG59 cable. Spools of cable can be found in the camera accessories section. These cameras adjust to the environment and give you a clear IR image. They also automatically adjust to the ambient lighting in the environment and give you a clear HD image. The IntelliSpy DC-AHD60-DN camera is great for indoor or outdoor applications. It comes with a 3.6mm lens and has a heavy duty mounting bracket with a hidden cable design so it mounts easily to ceilings or walls. This camera will ONLY work with HD DVR�s. Camera has a 2 year warranty. The IntelliSpy DC-AHD80-DN is a full HD weather proof dome camera with 80 feet of night vision with the equivalent to a 2.0 megapixel camera. The HD technology gives you crystal clear picture. For example, most cameras are blurry and grainy, with an 700TVL camera system it is hard to recognize facial features as the moving object will be blurry and have a trailing image effect. With the IntelliSpy you get no trailing when an object is moving fast in the field of view. This help you see license plate numbers and allow you to actually see the face of an intruder all while using coax/RG59 cable. Spools of cable can be found in the camera accessories section. These cameras adjust to the environment and give you a clear IR image. They also automatically adjust to the ambient lighting in the environment and give you a clear HD image. The IntelliSpy DC-AHD80-DN camera is great for indoor or outdoor applications. It comes with a 2.8-12mm varifocal lens and has a heavy duty mounting bracket with a hidden cable design so it mounts easily to ceilings or walls. This camera will ONLY work with HD DVR�s. Camera has a 2 year warranty. This is a Mini dummy camera made to look like a real IR dome surveillance camera.It has a red flashing light to help deter any criminal activity. Requires 3 AA batteries, not included.Measures 3 3/4"- x 2 7/8"
No one will ever be able to tell this electrical box conceals a HD hidden color camera and mini DVR to record what the camera sees. The electrical box can be run on constant power nby plugging it in with the supplied power supply, it powers the DVR and the camera. It records in crisp clear 1960 x 1080p HD resolution at 30fps. It has a back-up battery that operates the camera and DVR for 5 hours upon power failure. This hidden camera features motion-activated recording that starts as soon as motion is detected. With motion-activation, you won't have to fast forward through hours of uneventful recording. You can view your recordings by using the included RCA cable to connect to your TV or computer. 64GB memory allows you to record up to 9 hours of continuous recording. No one will ever be able to tell this electrical outlet conceals a HD hidden color camera and mini DVR to record what the camera sees. Plugging the electrical outlet into a wall plug powers the DVR and the camera. It records in crisp clear 1960 x 1080p HD resolution at 30fps. It has a back-up battery that operates the camera and DVR for 5 hours upon power failure. This hidden camera features motion-activated recording that starts as soon as motion is detected. With motion-activation, you won't have to fast forward through hours of uneventful recording. You can view your recordings by using the included RCA cable to connect to your TV or computer. 64GB memory allows you to record up to 9 hours of continuous recording. Does NOT function as an outlet. There are no open outlets to plug any appliances in. 16 Channel REVO professional DVR that delivers commercial grade type features. 2 commercial grade indoor/outdoor bullet cameras (RECBP600-1). 3 indoor/outdoor mini turret cameras (RCTS30-3). 3 indoor dome cameras (RCDS30-3). The advanced 16 channel DVR produces 480 Images per second and allows real time recording on all channels. EZLink, send picture emails of camera's current view, push notifications to most smartphones, as well as full DVR access using your Smartphone to control PTZ cameras. 4TB hard drive that provides months of storage. The unit has 8 RJ12 (Quick Connect) channels and 8 BNC channels for more advanced cameras. Commercial grade bullet camera produces 600TV lines of high resolution. It's 2.8 -12mm vary lens allows for close up to wide angle viewing. An IP66 weatherproof rating allows for outdoor use. 33 white light emitting LED's can be motion triggered to illuminate an area at night to act as both a deterrent and the ability to record in color at night. The camera generates an on screen display (OSD) to remotely manipulate everything from exposure, white balance to motion sensory settings, digital effects and camera title. The Quick Connect mini turret and dome cameras have 700 TVL and 30 IR's allowing it to see up to 100' in total darkness. The bullet camera is IP66 rated, making the camera suitable for indoor and outdoor use. The cameras have low DC power consumption and high performance infrared illuminator module. 60 ft. of RJ12 cable is included with each Quick Connect camera. The IntelliSpy Exit Sign Hidden HD Camera is hand crafted right here in the USA. It is built to work with the AHD DVR's. This camera is concealed in an everyday item so that no one will no they are being watched by a 1080p hand built HD hidden camera. Not only is the beauty of it that it's concealed but the high definition 1080p super clear camera and allows you to finally see what is really going on when you aren't around. It is a wired camera. A cable is run from the camera to the DVR for it to operate. You can use the power & HD video all in one camera cables we sell to connect the camera to the DVR. The camera comes with a 12 volt power supply. If you need a hidden camera to keep an eye on your property or business this is the camera for you. This IntelliSpy high definition 4 channel surveillance system comes complete with 2 HD dome cameras(DC-AHD60-DN), 2 HD bullet cameras (BC-AHD150-DN), 4 Channel HD DVR with 1 terabyte hard drive installed(AHD-DVR-41TB), 4 HD plug and play 100 foot cables(HD-CA-100) and 4 power adaptors (AC-12500). The complete system makes install a piece of cake. Run the wires, mount your cameras, set up your DVR, plug in all your equipment and you are ready to record in 1080p crisp clear high definition. The quality of these HD cameras and HD DVR together is amazing. You no longer have to put up with a blurry and grainy image like older analog systems give you. With the analog (700TVL camera) system it is hard to recognize facial features as the moving object will be blurry and have a trailing image effect. With this HD camera system you get no trailing when an object is moving in the field of view. You can make out license plate numbers and allow you to actually see the face of an intruder all while using the supplied plug and play HD cables. They are equivalent to a 2.0 megapixel digital camera. You can store about 6.25 days of constant recoding with the 1TB hard drive. You can increase the record time by using motion detection where the DVR will only record when there is motion in the camera field of view. This HD DVR can be connected to the internet which will allow you to view the cameras remotely via smart phone, computer, or any mobile device from anywhere in the world. We recommend connecting this HD DVR to an HD TV or HD monitor using an HDMI cable(not included) for best results. This IntelliSpy high definition 4 channel surveillance system comes complete with 2 HD dome cameras(DC-AHD60-DN), 2 HD bullet cameras (BC-AHD150-DN), 4 Channel HD DVR with 2 terabyte hard drive installed(AHD-DVR-42TB), 4 HD plug and play 100 foot cables(HD-CA-100) and 4 power adaptors (AC-12500). The complete system makes install a piece of cake. Run the wires, mount your cameras, set up your DVR, plug in all your equipment and you are ready to record in 1080p crisp clear high definition. The quality of these HD cameras and HD DVR together is amazing. You no longer have to put up with a blurry and grainy image like older analog systems give you. With the analog (700TVL camera) system it is hard to recognize facial features as the moving object will be blurry and have a trailing image effect. With this HD camera system you get no trailing when an object is moving in the field of view. You can make out license plate numbers and allow you to actually see the face of an intruder all while using the supplied plug and play HD cables. They are equivalent to a 2.0 megapixel digital camera. You can store about 12.5 days of constant recoding with the 2TB hard drive. You can increase the record time by using motion detection where the DVR will only record when there is motion in the camera field of view. This HD DVR can be connected to the internet which will allow you to view the cameras remotely via smart phone, computer, or any mobile device from anywhere in the world. We recommend connecting this HD DVR to an HD TV or HD monitor using an HDMI cable(not included) for best results.